Andy Milam, I'm here from Southern Orders for the first time, and I'm well pleased! "They've gone so long lying about the reality of what the documents of Vatican Council II actually said..." While it is good to acknowledge the vagaries of VCII documents, I think we must also insist that much of post-VCII culture is contrary to the Council documents. VCII did not define limits as Trent did, but VCII does explicitly define itself as limited by Tradition. Welcome to the blog! I hope you enjoy my musings. I have enjoyed your commentary at the Fr. 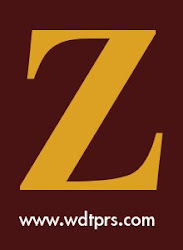 Z site, and popped over here to see more about the commenter. These are some great thoughts that you have on this topic. However, I would like to point out one aspect about the ambiguity issue. A frequently-held Traditionalist position is that the ambiguities are essential parts of the documents themselves. This itself seems to be borne out by the Cardinal's comments. However, a second part of that particular Traditionalist position is that the ambiguities themselves invalidate the documents wherever they CAN be misconstrued or poorly implemented. However, my own analysis on these ambiguities is as follows: 1) They WERE put in intentionally. 2) They were put in by the Progressives to get THEIR (often heretical) interpretation into the documents themselves. 3) The Progressives have used, are using, and will use THEIR interpretations to create and sustain the Spirit of Vatican II. 4) The non-Progressives let the ambiguities into the documents in the spirit of compromise. 5) The non-Progressives knew then and know now, as explained by Pope Benedict, that all teachings must be interpreted in a hermeneutic of continuity. 6) Thus, a heretical interpretation of an ambiguity in a Council document is an INVALID interpretation, and, no matter how much used, carries NO WEIGHT. I see the ambiguities making it into the document as being the Progressive's version of a "Hail Mary" pass--and once the ambiguities made it in, the Progressives thought they had changed Church teaching. (They certainly act that way now.) However, the non-Progressives knew that ambiguities could go in, but only consistent, continuous doctrine could come out, thanks to the action of the Holy Spirit. Therefore, the Progressives goal was thwarted by the very means they used to try to accomplish it. Therefore, nothing invalid or contradictory can be read into the ambiguities, even if the ambiguities were intentionally placed into the documents. Now, whether letting in the ambiguities just to get documents passed is ever a good PRUDENTIAL move, well, let's say time has proven that it was NOT. The three disputed teachings, ecumenism, religious liberty, and collegiality, have been vigorously implemented in practice and in canon law by the entire heirarchy of the Church, from the very top to the bottom, not just by a number of 'progressives.' As Amerio and Gherardini among a growing number of theologians have argued, those texts and their associated practices must be explicitly repudiated. I am unsure of the recommendation of this post, that the premises be 'proven.' They have been proven (google Gleize Ocariz and you will see a clear statement with citations of traditional teaching on the three major issues side by side with the council texts). What they must be is implemented, the poison bits stuck in the throat of our sleeping Church Militant expelled. The need is most urgent, since the issues are not only theological in scope, but entirely social, entirely political. If we do not expell the idea that all religious beliefs are paths to heaven, even atheism, Europe is going to be lost to Islam. That is the thesis of Christopher Caldwell, an economist (Reflections on the Revolution in Europe), and he is only one of a growing number of professionals beginning to understand and sound the alarm regarding a castrated Catholic Church. I did not mean to sign in as unknown, but I couldn't make the other options work. I am the Unknown above, Janet Baker, the White Lily Blog, Chicago.